Carlos has 15 years’ experience driving diesel trucks and has been with our company for over 2 years now. Carlos is in charge or moving all machines to job sites as needed as well as servicing customers around the state. Concrete Pour In Woodbridge, NJ. Delivering Concrete In Woodbridge, NJ. Quality Concrete made the delivery for this community to have a few walkways and a sidewalks replaced. 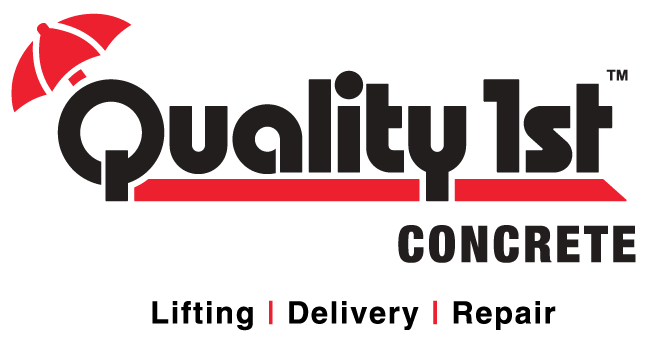 With over 20 years of experience in the concrete business, customers know that they are in good hands when they order from us. Quality 1st Concrete had a delivery in Manalapan, NJ to pour a concrete floor for a new garage. Our Driver arrived on time and was able to back our truck right up to the entrance of the new garage. The concrete was mixed straight in the truck and freshly poured into the garage area. Check out this amazing before and after! Quality 1st Concrete delivered freshly mixed concrete right on site for a masonary comapny for a job in Freehold, NJ. A homeowner in Monmouth County was having a tennis court done at his house and needed about 60 yards of concrete to be delivered on a Saturday. The homeowner contacted Quality Concrete to get a quote and schedule the delivery. When he called their office, the Concrete Coordinator provided him with a price over the phone, and scheduled the delivery for him. The Day of the delivery, the Field Supervisor and two Senior Concrete Specialists were in charge of bringing the concrete over to the property. Three concrete trucks were out early in the morning to bring the first 30 yards of concrete. The tennis court area was nicely framed out, and the crew at the job site was ready to start the pour. One by one, the first truck began to mix fresh concrete right there and then, and poured the concrete directly into the tennis court. As the concrete was being poured, the crew at the site floated and finished the concrete. Once all the concrete was taken out of the first truck, the second one began to mix fresh concrete, and so on. 67 yards of concrete were successfully delivered. At the end of the pour, the homeowner was able to remit payment directly to the Field Supervisor. 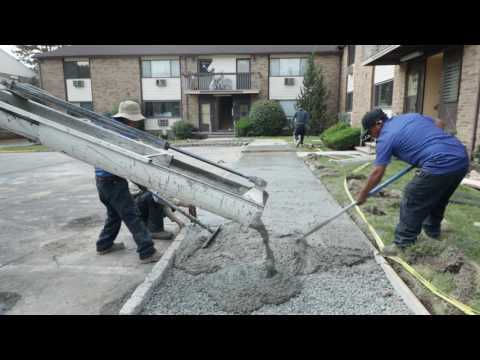 The job was completed in a timely manner, and the homeowner was very satisfied with the service provided by Quality Concrete. Carlos, our Concrete Specialist loaded his truck to prepare for a delivery down in Asbury Park, NJ. New footings were needed in a building and so Quality 1st mixed the concrete right on site. This allows the company to use only the amount they needed and therefore only having to pay for what was used. Quality Concrete delivered a few yards of concrete for our Contracting Division for the replacement of walkway at one of the Woodbridge, NJ communities they are working in. Quality 1st Concrete made a delivery for Elite Landscapes to fix the concrete around a pool. Our Concrete Specialist, Carlos has been working closely with the team responsible for paving new concrete all along the train tracks in Jersey City to ensure safety around the tracks. Quality 1st Concrete Specialist, Carlos, had to make a delivery to Aberdeen for a sidewalk replacement job. Carlos cleans his truck after every pour to make sure that it's ready for his next delivery. This will prevent any concrete from drying up and causing problems for a future concrete pour. Once the truck is clean, he loads it with stone and sand to create the perfect texture on site. Once he arrived the truck was parked right next to the sidewalk area being replaced, where he began to mix the concrete and dispense it into the sidewalk. Concrete delivery where Quality 1st Concrete helped our contracting division complete a job in North Haledon, NJ by delivering freshly mixed concrete!